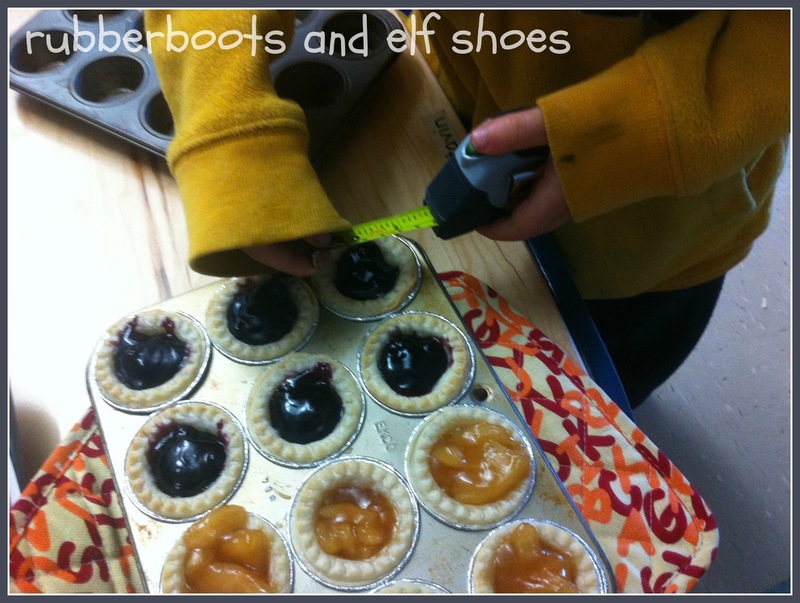 The kids have been measuring everything they can with measuring tapes. We discovered that it is really hard to measure around the edge of a circle. Luckily a few thousand years ago, some mathemagicians figured out that if you measure a circle at the biggest part (the diameter) and "times it" by 3.14, then you know the circumference. They called this special number pi. The kids thought that was pretty interesting. They thought it was neat that mathemagicians have their own secret math code. I told them that today was Pi Day. 3.14 We counted that March is month number three. And that is is the 14th day of the month. 3.14. That made sense. Then I really got their attention. 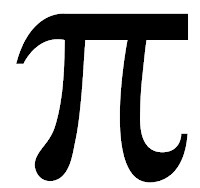 What does the word pi sound like. Hmmmm. Pie? How do you think we could celebrate Pi Day. Pie did seem like good idea. The kids could choose either apple or blueberry pie. And three choose apple-blueberry. Even pie measuring. It was also noted that the diameter of the pie was "fatter" than the diameter of the muffin tin opening. I am thoroughly convinced that my kidlets are brilliant. Even so, I decided against telling them that pi is an eternal and irrational number. I need to leave something for their high school math teachers! Check out this pi domino spiral. The clip is 3.14 minutes! I have to apologize for the comments above not publishing correctly...the first one I should have spell checked before I published and then when I tried again...BOTH versions of the comment posted. Maybe I need coffee! I love the pies you made with your kiddos. I had been wracking my brain for an easy to implement idea for my own Pi Day celebration on Monday (we're on March break holiday here in Ontario). 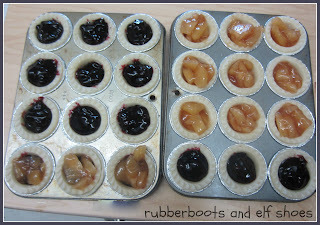 I am going to get some little pie shells and filling and do what you did! I am having another one of those "why didn't YOU think of that?" moments here. 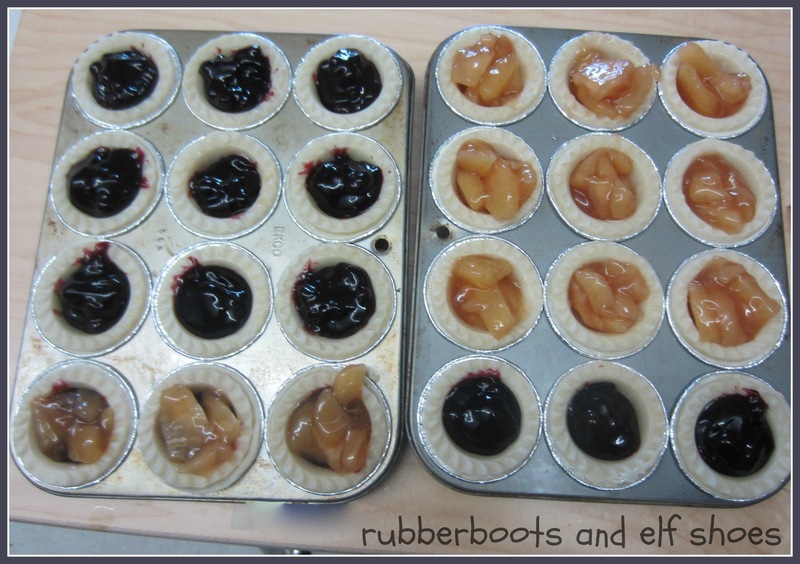 Hop on over to my blog and check out what I have planned for Pi Day and while you are there link up to the Pi Day linky. 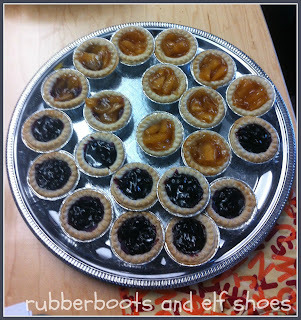 I am sure I am not the only one who could use some PIE in their Pi Day plans! I've never even heard of Pi Day! I love it! You always do the coolest stuff, Sandi. Mmm pie. We always celebrated Pi Day when I taught middle school. It was so fun. Pi was such an important discovery and I love how my math kids loved it.